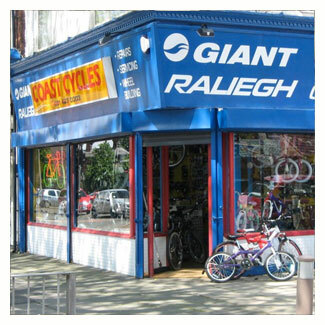 Giant main dealer Coast Cycles was established in 1986 by the current proprietor. Covering South Liverpool districts Garston, Speke, Mossley Hill, Allerton and Aigburth; the business has earned a enviable reputation for top quality cycles, servicing, accessories and reliable repair services. The attention to detail when adjusting and setting up bikes is unsurpassed - your bike will be returned as good as (or better than) new. The next time you are having cycle problems. Don&apos;t hesitate to contact Coast Cycles for a reliable, rapid, cost effective solution.